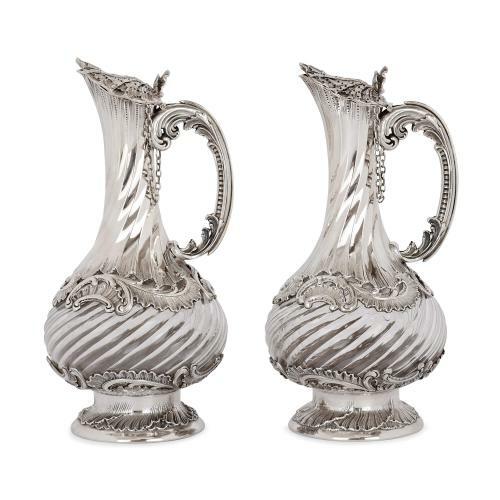 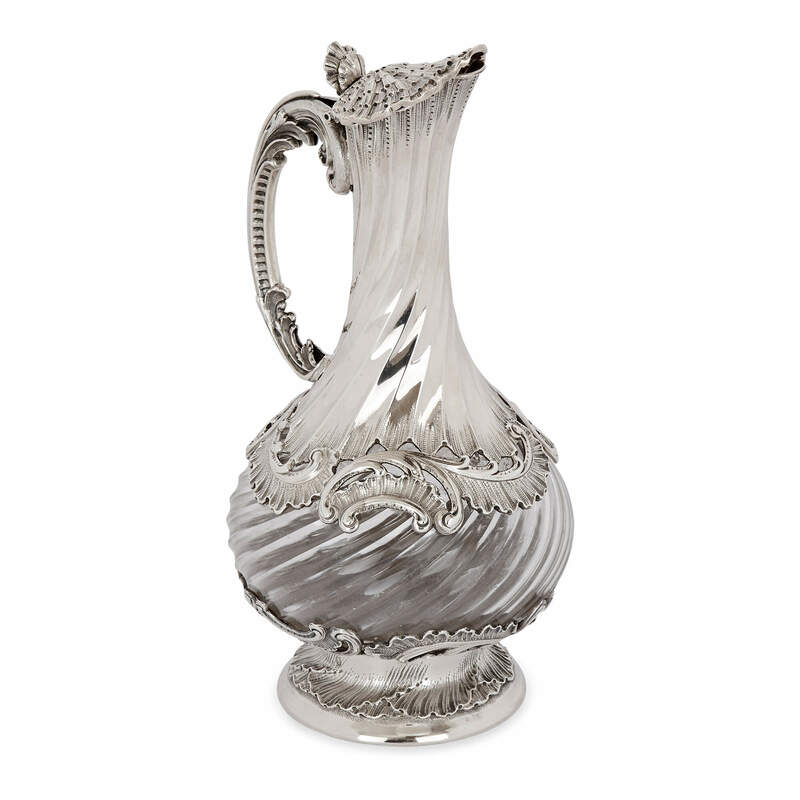 This fine pair of jugs feature exuberantly cast silver mounts and embody the beauteous spirit of the Rococo style, designed with a refined delicacy and charm. The pair of 19th Century jugs are both a practical and decorative addition to a well-dressed table or sideboard. 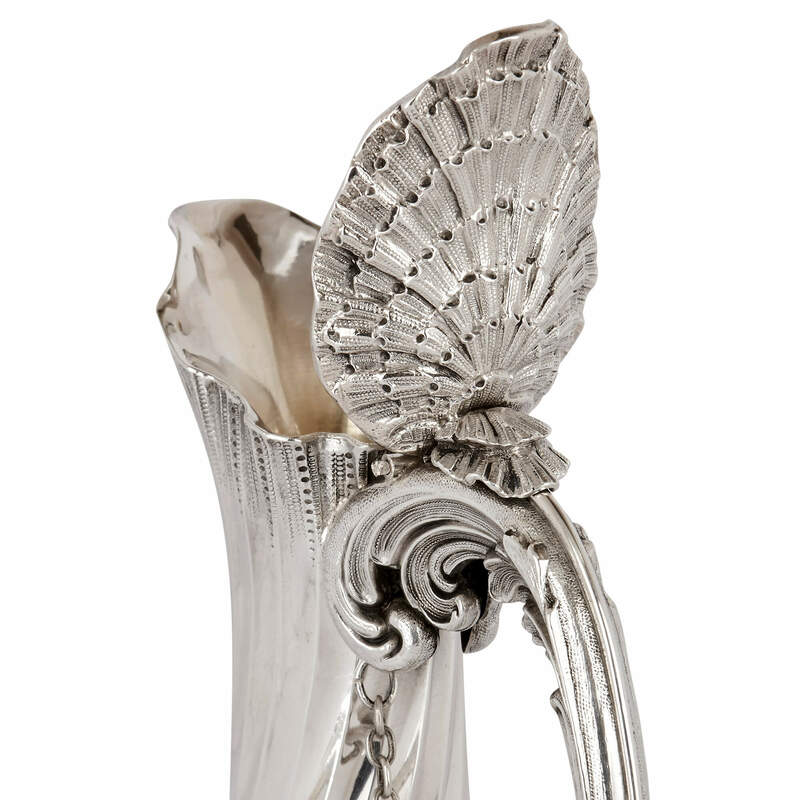 Crafted in crystal, they feature bulbous, twisted and ribbed bodies which catch the light beautifully. 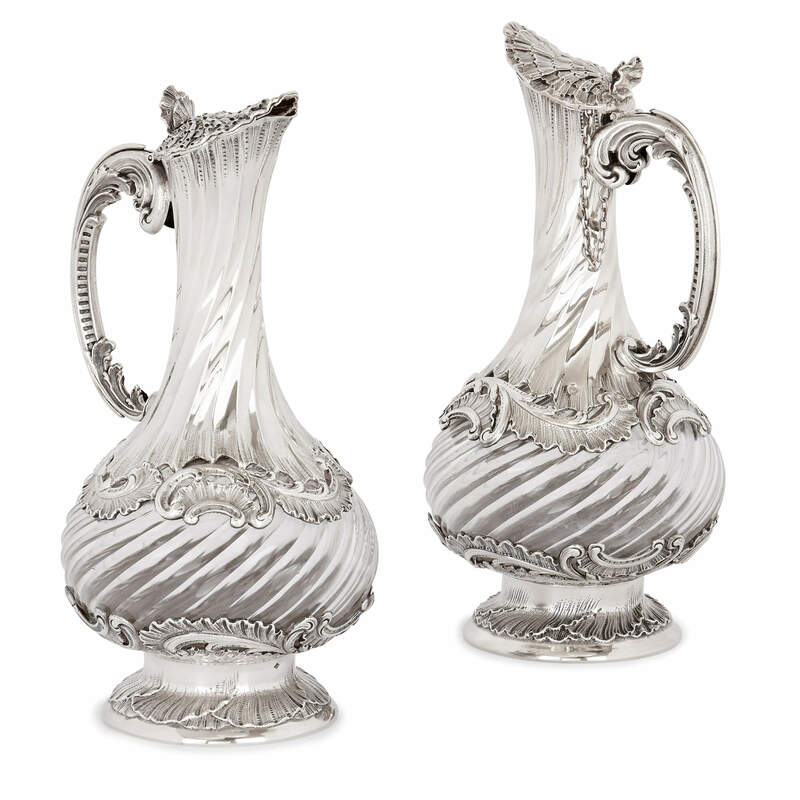 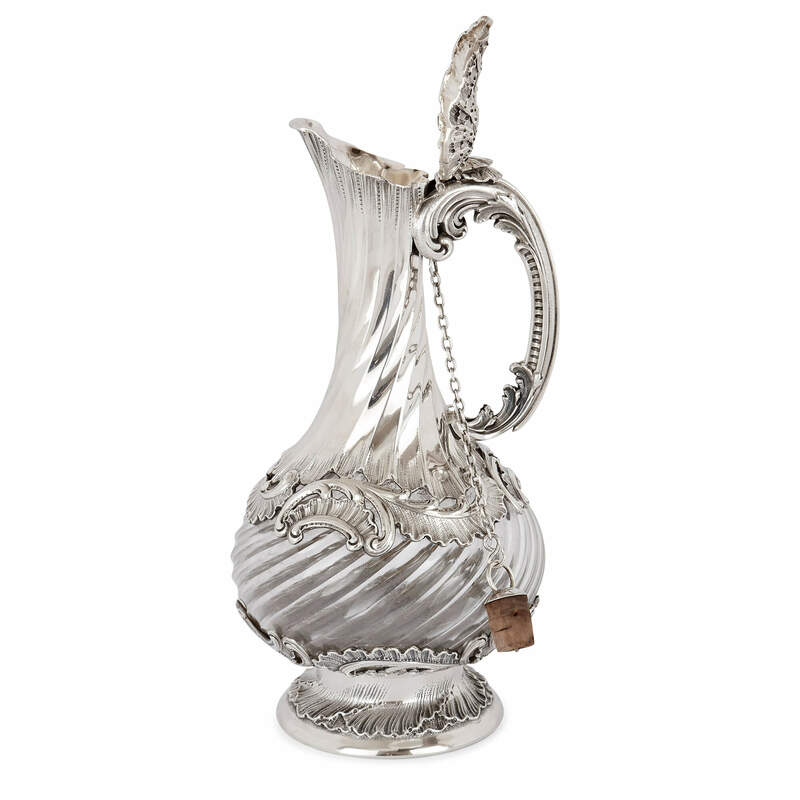 The socle bases and slender necks of the jugs are mounted with solid silver, and feature further twisted ribbing, as well as curved c-scrolls, acanthus leaves and 'rocaille' motifs- design features synonymous with the Rococo style of decoration. 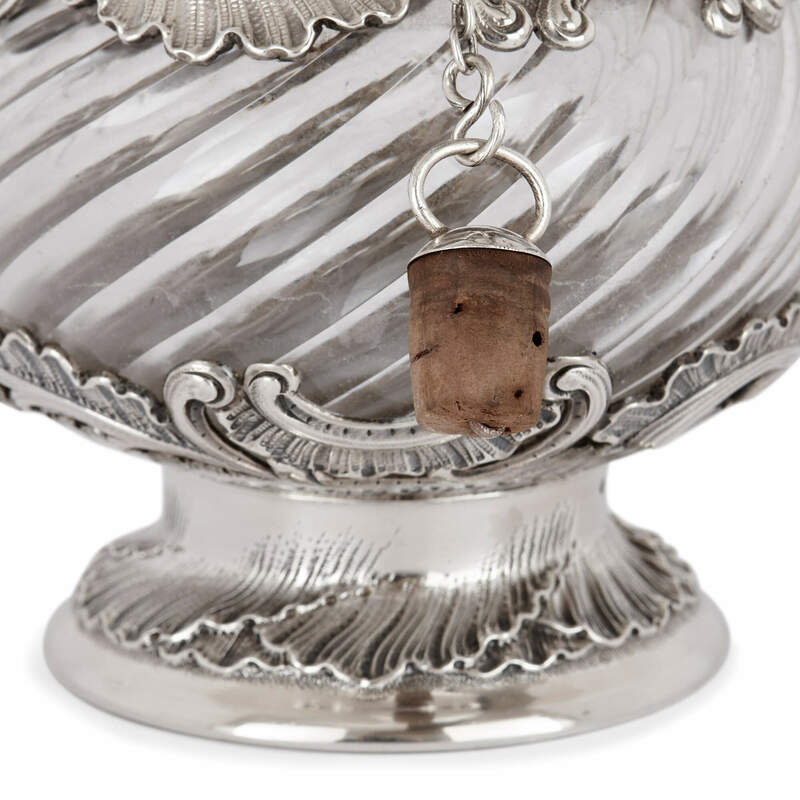 The jugs each have a handle and the spouts feature shell covers, each with a delightful cork stopper on a chain. 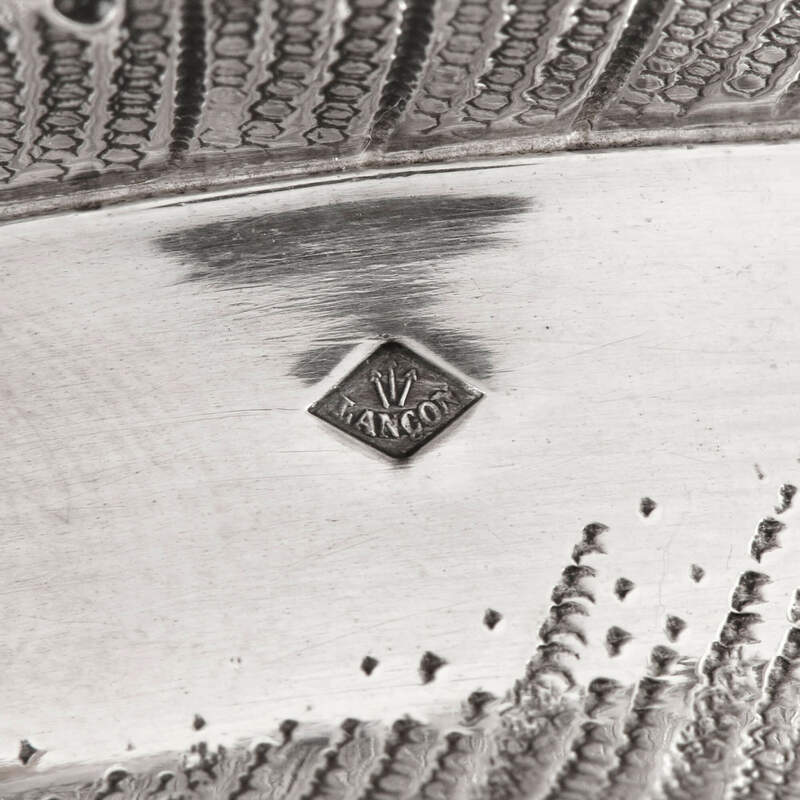 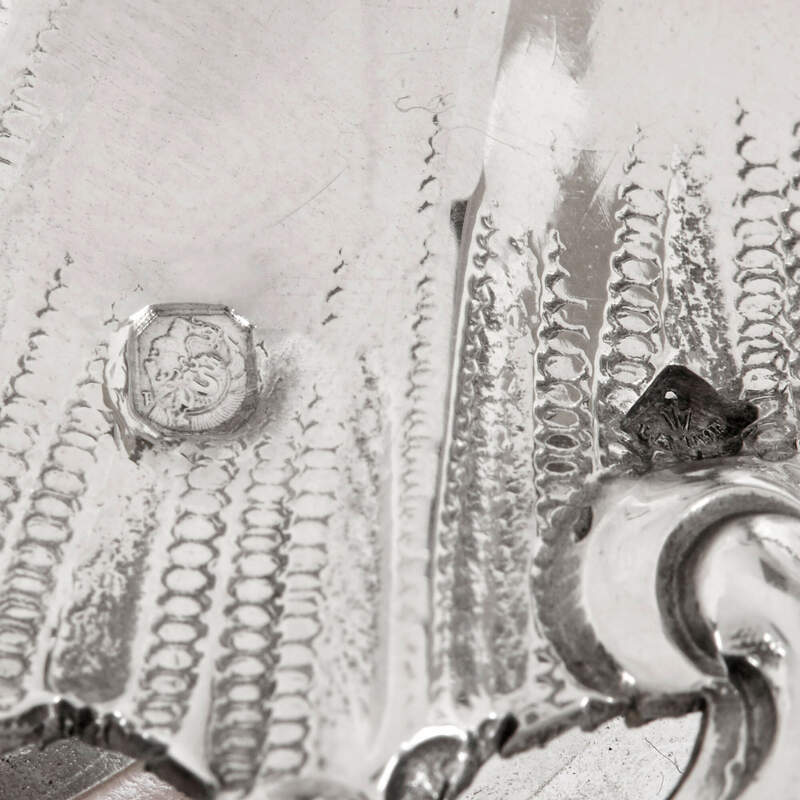 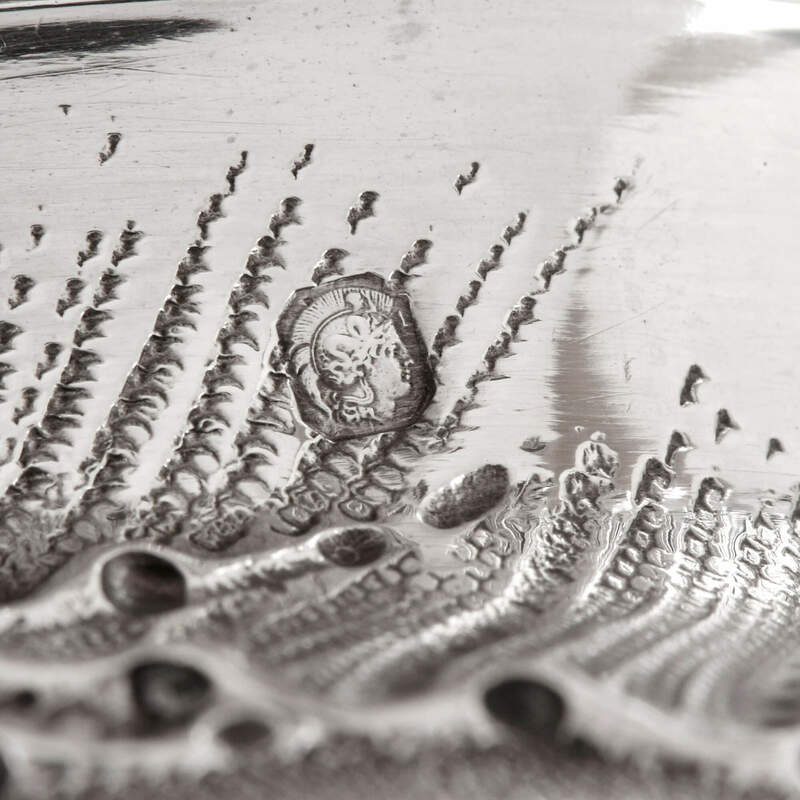 The jugs are marked with French silver hallmarks, and a stamp with three arrows for 'LANCON', the manufacturer.